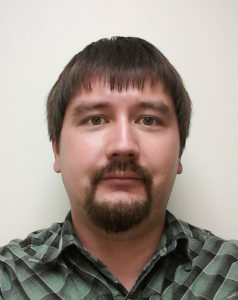 Tribine Harvester LLC, is proud to announce the promotion of Dillon Thompson within its Engineering staff to the new position of Chief Engineer, which positions him to lead and supervise the Engineering and Development personnel for the Newton, Kansas startup harvester company. Dillon started with the company in Oct of 2015, and since that time has proven that a good farming and harvesting background reinforced with a tremendous work ethic can cause one to be noticed and appreciated quickly. Dillon is a product of the farming community Burdett, KS a proud community just west of Larned where he started very young to understand and assist in the dryland and irrigated farming operation that included cattle feeding and pasture. This knowledge and hands on involvement in the day to day tasks of Agriculture prepared him to graduate with a BS in Ag Engineering from Kansas State University in 2013, and then moved “back east” to begin his combine engineering experience, and figure out why he wanted to get back to Kansas. Tribine is quite pleased that we could lure him back, and intend that he stay with us for a long time. We know that our customer base will get to know Dillon, and know that they can also respect and trust him just as we are doing.